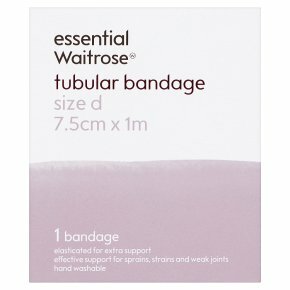 Elasticated Tubular Support Bandage provides effective support for sprains, strains and weak joints. The flexible fabric is comfortable to wear, offering continuous support without restricting movement. The bandage is easy to apply, without the need for pins or tape. Hand washable for repeat applications.